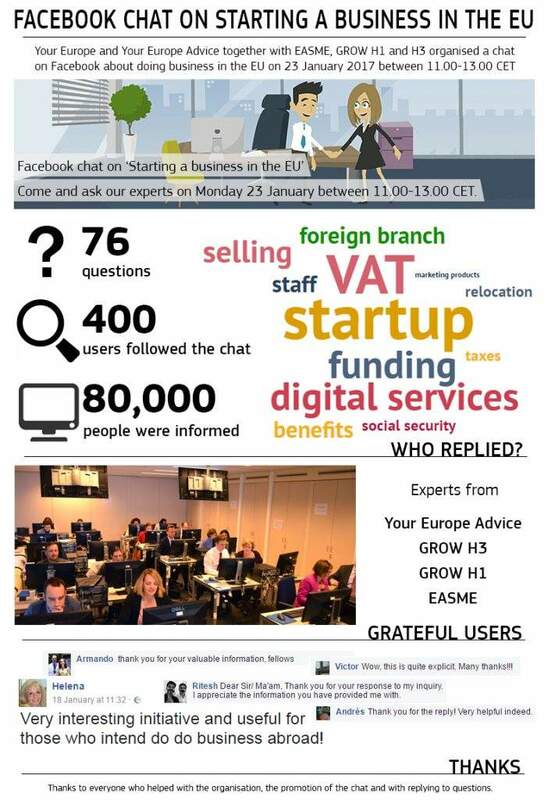 Over 400 users followed the chat live, as legal experts from Your Europe Advice, as well as from the European Commission’s Executive Agency for SMEs (EASME) and from DG Internal Market, Industry, Entrepreneurship and SMEs (GROW), responded to 76 questions over the course of 2 hours, reaching a total of 80,000 people. The questions covered a range of different topics of interest for mobile EU citizens and businesses, including requirements for setting up a business in another Member State, VAT issues, selling licensed goods, digital services, social security, access to EU funding for start-ups and entrepreneurs, and the implications of Brexit for the right of freedom of establishment or the cross-border provision of services in the EU. 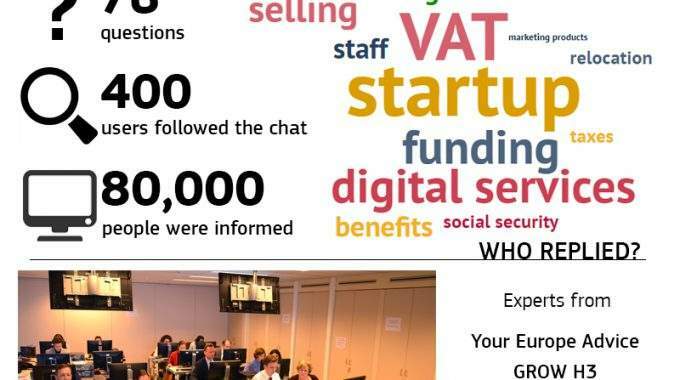 YEA experts are regularly asked by the Commission to take part in its online chats about EU rights. The first chat was held in November 2014 on the topic of residence rights. Subsequent chats have focused on passenger rights, healthcare and professional qualifications.